Virginia’s healthcare providers value competence, confidence, and well-rounded experience in their nurses. A quality education places aspiring nurses in good standing to meet these demands. Students should therefore not be deterred by the costs of a nursing degree or certificate program, but rather thoroughly explore their options. Nursing education carries several important costs. The most significant factor is tuition, which varies significantly by school and program type. Aspiring nurses should also budget several other smaller costs, including books and supplies, room and board, transportation, and everyday living expenses. As noted above, the cost of tuition depends heavily on program type. Shorter certificate programs, which prepare students as certified nursing assistants (CNAs) or licensed practical nurses (LPNs), are generally more affordable. Lengthier degree programs, like a two-year associate’s degree in nursing (ADN) or a four-year bachelor of science in nursing (BSN), require significantly greater investment. Within each level of licensure, tuition also varies by type of institution. Public colleges and universities are funded by the state of Virginia, and they therefore offer subsidized education to residents. Nursing programs in private universities are more expensive, but they often carry an added level of prestige. The further you pursue your education, the higher your return on investment. 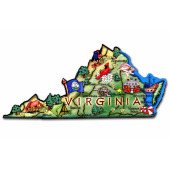 CNAs in Virginia earn an average of $23,380 per year. That figure increases to $39,390 for the state’s LPNs. Registered nurses command an average annual salary of $62,750, while BSN-educated nurses typically earn top-quartile pay of over $74,000. Nurses with master’s degrees in critical specializations, like midwifery and anesthesia, can earn annual compensation of well over $100,000. While a nursing education can be costly, Virginia’s variety of programs ensures that you’ll find a school well-suited to your needs. We’ve listed below some of the state’s top nursing schools in order of cost.